“Righteousness doesn’t have to be popular, it just has to be righteous.” Those were some of the final words from conservative pundit, Ben Shapiro, after he delivered a stunning and impassioned address at the 2019 March For Life. 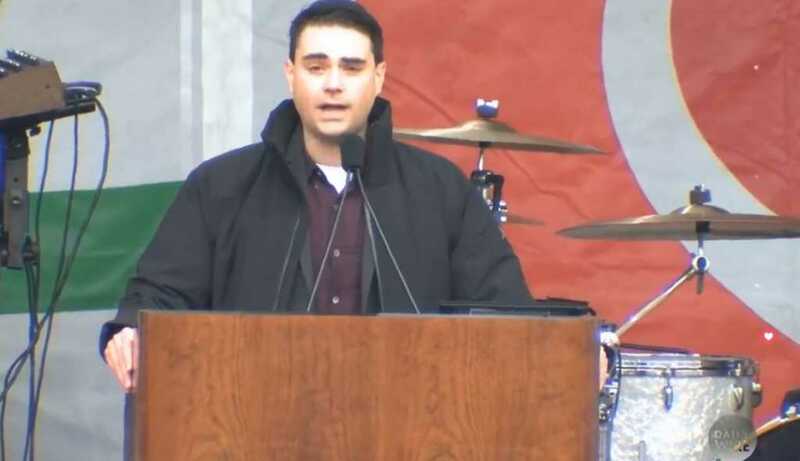 Shapiro, who appeared alongside Vice President Mike Pence and his wife, Karen, was on top form, eviscerating many of the leading pro-abortion arguments threatening the safety and wellbeing of unborn children today. The “viability” argument that suggests preborn babies don’t have a right to the life if they can’t live on their own outside the womb “obviously doesn’t hold,” Shapiro declared, because both young infants and many elderly people are dependent on others for survival. And what about the commonly floated notion of abortion by convenience? Well, as Shapiro pointed out, parenting might be difficult, but it does not warrant destroying a human life. “There is nothing moral about the idea that you think you’ll be a bad parent so you get to kill the child,” bellowed. Shapiro also implored the political community to come together on this most important issue. Spoke w/ @BenShapiro & all his listeners at @March_For_Life about how @POTUS has been STANDING for LIFE. We've reinstated the Mexico City Policy, allowed states to defund Planned Parenthood & nominated judges who will uphold our God-given liberties enshrined in our Constitution. Ben Shapiro joins the March for Life speakers in this live event to advocate for the voices of unborn children subject to the tragedy of abortion.